It’s been some time since we got to see “Q” in a James Bond movie. He’s basically been absent since Desmond Llewelyn passed away in 1999, even though John Cleese took up the official “Q” moniker in Die Another Day. Still, Llewelyn will always be “Q” to us. That hasn’t stopped the makers of Skyfall from giving it a try, however. They’ve introduced a new ‘Q” for the upcoming movie, played by Ben Whishaw, and we’ve got a clip of him, with Daniel Craig’s James Bond, for you today. Even though he’s a new “Q”, we sorta like the kid. He could end up being okay after all. In the old days (you know, before things like YouTube) we had to rely on newspapers, magazines and TV shows like Entertainment Tonight to get our movie and TV news. Now we’ve got the Internets and a whole bunch of new and cooler ways. One of those new ways is the personal videoblog made by directors of big movies. 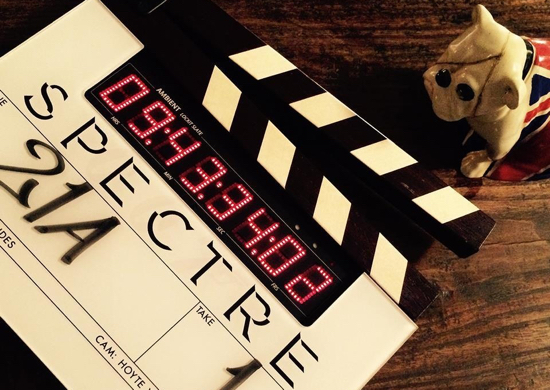 Much like Peter Jackson did during his filmmaking adventures with The Hobbit, director Sam Mendes has taken up the cause and is doing video dispatches while directing Daniel Craig in the production of the next James Bond film Skyfall. His first one is pretty short, only 90 seconds, but in it the director talks about his Bond nostalgia and few glimpses of actual filming taking place with Craig in action as Bond. It’s pretty cool and hopefully the first of many. Check it out after the jump. Look for more from Mendes as production on Skyfall progresses. The movie itself arrives in theaters on November 9. Sometimes the first official image from a movie can drastically change the public’s perspective of an upcoming film. It can show you an exciting new look from a main character, or it can give you hints to the story or plot. Then some times the first official still is just a man sitting by a pool in the dark. 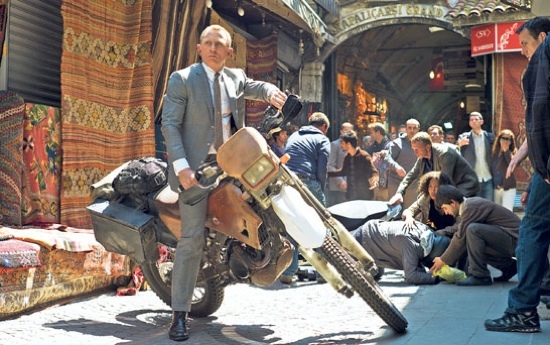 Empire has debuted the first official image from Skyfall. A lonely and sullen looking Bond playing footsie with a swimming pool after hours. Maybe that watch is a new Q gadget, or perhaps there are sharks with laser beam head gear just out of frame! Yeah, not exactly the most exciting first still in the history of movies, but it is still notable for a few reasons. One, it is James Bond, and with the recent strife with MGM, seeing him officially in Skyfall is nice to see. There was real concern that the movie would never get made, but it is really happening. Also this is the 5oth anniversary of James Bond, which is a huge deal. The Golden Anniversary for a cinematic icon is important to recognize, and any opportunity this year to talk about Britain’s most dashing spy will be used. Hopefully they will be more meaty in the future.